This week, House and Senate congressional leaders reached an agreement on a fiscal year (FY) 2017 omnibus appropriations bill. This bill will fund the entire federal government through the remainder of FY 2017. Despite White House FY 2018 proposals to cut funding for many science agencies, Congress has decided instead to protect and, in some cases, even increase funding. The FY 2017 omnibus would add $25 million (7.14%) to the Agriculture and Food Research Initiative (U.S. Department of Agriculture). The National Science Foundation (Research and Related Activities budget line) would be flat-funded relative to FY 2016, but would not be subjected to hostile provisions as have been previously proposed. The 2017 spending bill would also add $41.8 million (0.78%) to the Department of Energy Office of Science programs and $15 million (5.15%) for the Advanced Research Projects Agency-Energy (the Trump Administration proposed eliminating ARPA-E in FY 2018). Though imperfect, the FY 2017 omnibus is a win for plant science! To continue to build on the incredible momentum from recent March for Science events, please take this opportunity to urge your Members of Congress to support this important legislation. 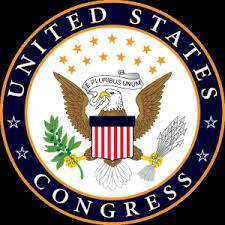 Use this link to access the phone numbers for your members of Congress. Please call and urge them to vote for the 2017 omnibus bill. Don’t waste any time, the House could vote on the bill as early as today (May 3) and the Senate will likely follow by Thursday (May 5). Let us know that you have participated by tweeting us or filling out our brief survey.